In international adoption, each country has a very unique process and fee structure. In the United States, sibling groups are considered “difficult to place,” and as such, incentives are sometimes offered to help insure the kids. In other cases, cost is the same as adopting one child, only doubled (or tripled, depending on the number of siblings involved in the adoption). 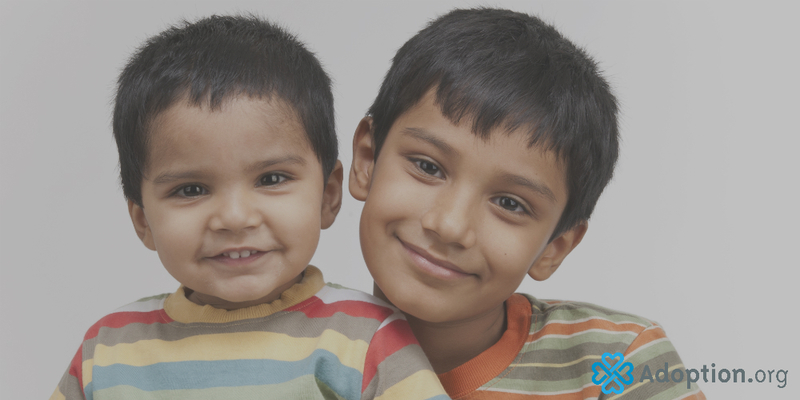 In countries like Bulgaria, Colombia, and Honduras, sibling adoption is very common. These are the places where families may find fees and processes to be more flexible. They are more familiar with the process and have built programs to help facilitate sibling-group adoptions. Fees on the United States side usually double with each child. Some things cannot be discounted. For example, travel costs may be higher with more people traveling one way back from the country of origin (though children under 2 riding on a parent’s lap usually ride free or at a discounted cost, depending on the airline). Other fees, such as visa fees for each person, are unavoidable. Also, if the parents opt to have a medical specialist who is an expert in international adoption review their child’s file, this fee usually is per child and cannot be discounted if more children are involved. Agency fees also vary widely from agency to agency. Many fees are established “per child,” biologically related or not. If you’re open to adopting a sibling group, it’s always best to ask your agency what their policy is with regard to fees, as it may change. Some special-needs adoption agencies can also help with fees. For example, one couple I know of had already adopted several kids through domestic foster-to-adopt in the United States when they felt the call to expand the family again—this time from overseas. They adopted a boy with a very serious heart condition—which would necessitate a transplant—from China at about 4 years old. While there, they met his “orphanage sister” as well. He had been good friends with this little girl all his life, and she also had a serious heart condition. They were able to bring him home and, within a year, put in an application to adopt the little girl. After years, both kids are thriving now in a multicultural family with six kids under 7 years old! (Yes, the little boy got his transplant in time and has been doing very well over the last few years.) Their story is far from the normal, but it does go to prove that where there is a will, there is a way. Despite the cost of travel (two trips were needed) and the other fees, some flexibility to the rules can be allowed for to bring families together. International adoption is an expensive route to family building. Most families spend between $25,000 and $50,000 to build their families across oceans. Tax credits allow for some of these fees to be offset; however, the financial investment, while considerable, brings home a priceless gift—the gift of family. If you are interested in adopting an orphan in a foreign adoption, visit Adoption.com/international for help. Find more information about adoption by visiting Adoption.com’s website. Learn how you can adopt a child. To look at adoption photolistings and to learn more about adoption and foster care, visit adoption.com/photolisting.